Hey guys! Today I have for you another review from Born Pretty Store. 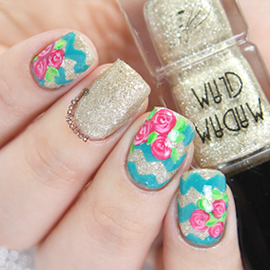 They have tons of affordable nail-art supplies, from brushes, polishes and even studs! I know spring is here, but I couldn't resist trying out these cute seashell studs :D. They are so popular and great for the upcoming summer. The studs come in a small plastic resealable bag, containing 20 pieces (which is exactly how much I received). 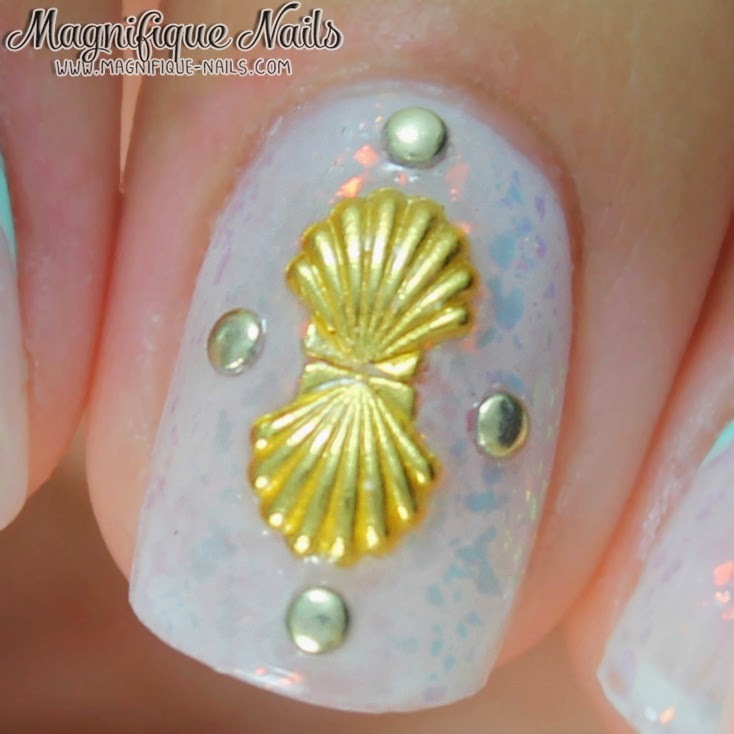 I choose the gold 5mm seashells, but they are also available in 3mm (which are smaller than these). 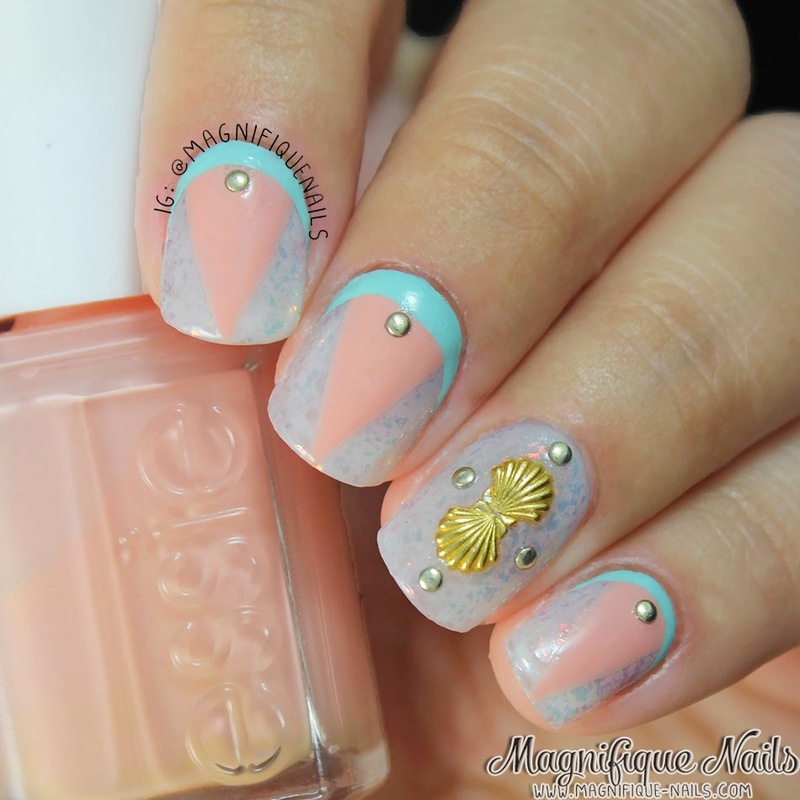 I began by applying three coats of Essie Waltz. It's a very sheer off white shade, which was perfect for this design. 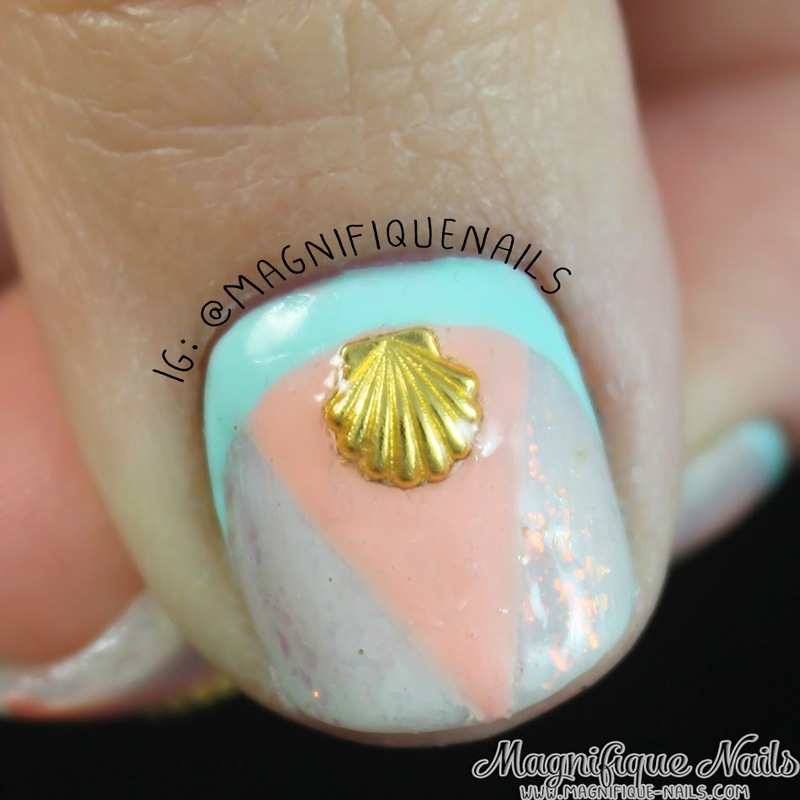 Now to give the illusion of the real seashell I applied a least two coats of Color Club Mini Snow-Flakes. Once the polishes were completely dry, I added the studs on the nails. 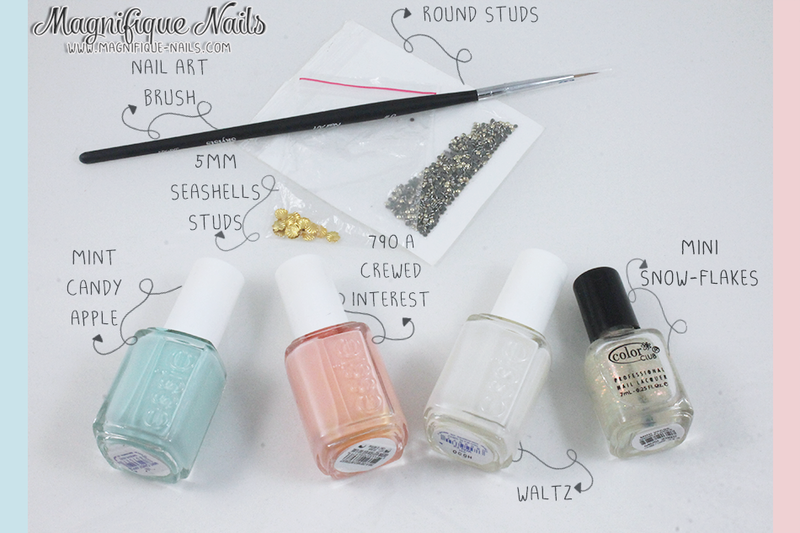 Of-course there are many ways to apply a nail charm or studs. Personally, I really don't like the glue, unless I want the charm to last a little longer. However, I prefer the top coat or a gel top coat. Lastly, I sealed the design with Duri- Super Fast Dry Through Top Coat, that's it! Overall I really loved how these came out! The 5mm/3mm seashell studs are $2.78 each and are a great to use for the summer or any design.